When we talk about “edibles,” we mean cannabis-infused foods, available as of January 2018 for any adult over 21 years of age in California. The psychoactive ingredient in these foods is tetrahydrocannabinol or THC. 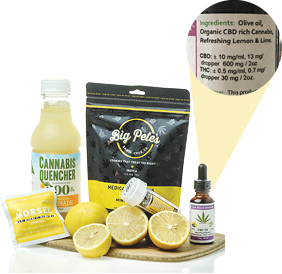 THC can be added to almost any food or drink, including baked goods like brownies and cookies, chocolates, candies and gummies, granola, mints, and juices. When trying these products, it’s important to educate yourself first in order to have the best possible experience. Edibles can be intense, and eating too much THC can be very unpleasant and disorienting. A positive experience with edibles should feel really good. Waves of bliss will comfort you, dissolving pain and leading to deep relaxation, increased sensuality, giggles and restful sleep, with effects lasting for 6 to 8 hours. 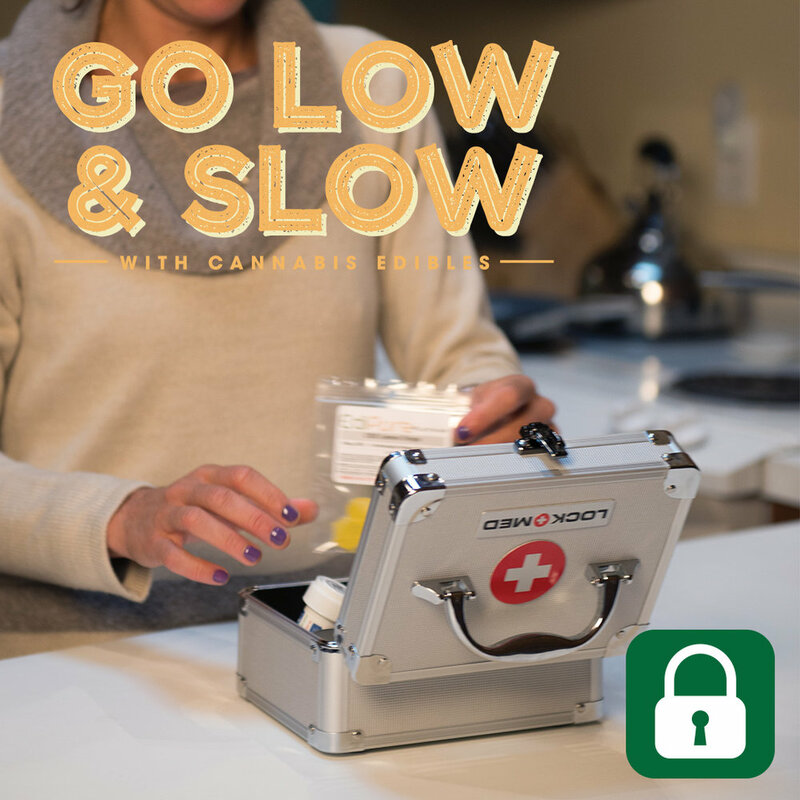 Edibles Expert Elise McDonough will guide you through 5 easy tips to have an enjoyable cannabis edible experience. Finding the right dose is essential to enjoying a positive experience with cannabis-infused foods. We recommend starting with no more than 5 milligrams of THC for new users. If 5 milligrams doesn’t result in noticeable effects, slowly increase your dose until you find your “minimum effective dose.” Most experienced cannabis users can tolerate up to 20 mg of THC without discomfort, while chronic pain patients routinely use 100+ mg per day to find relief. California’s new regulations require all edibles to clearly indicate THC content and divide edibles into serving sizes of 10 milligrams, with no more than 100 milligrams in a package. Onset time for edibles can be up to 2 hours or even more. The most common rookie mistake involves eating an edible, waiting just 30 minutes or so, becoming impatient and eating more, resulting in over-consumption and an unpleasant experience. Make sure you go slow, and wait for at least two hours to feel effects before eating any more cannabis-infused food. THC-infused drinks and sublingual products can take effect faster, within 15 minutes due to absorption in your mucus membranes. Look for information about CBD content listed in milligrams as well. Many products will list a ratio, such as 1 to 1, 4 to 1 or 20 to 1; which indicates the ratio of CBD content to THC content. For instance, an edible with a 1:1 ratio contains an equal amount of THC to CBD. Adding CBD to your diet is a great way to enjoy a balanced high! When discussing responsible consumption and the consequences of eating too much THC, it’s important to remember that even if you overdo it and have an unpleasant experience, you are in no danger of permanent harm. Cannabis is a non-toxic natural product, with an incredible safety record throughout thousands of years of human consumption. No one has ever died directly from ingesting cannabis. Responsible adults must take action to protect kids and pets from accessing cannabis products. Lock up edibles to prevent underage kids from experimenting with these substances. If you are a parent with young children, it’s recommended that you choose cannabis products like capsules and tinctures that don’t resemble any type of food. If you ate too much THC and are feeling anxious, disoriented, or overwhelmed, the most important thing to do is relax and remember that you’ll be fine in a few hours. Retreat to a safe place, distract yourself by watching a favorite movie or by listening to music. Allow yourself to get plenty of restful sleep and when you wake up you’ll be feeling much better. CBD is known to balance THC and can mitigate the worst parts of a too-intense THC high. A few hits from a CBD-rich vape pen can help calm you down. Other homemade antidotes include inhaling or chewing on black peppercorns, which contain a terpene called carophyllene, known to provide relief for those who are too high. Drinking juice can help raise blood sugar, which can help you feel less high, along with plenty of regular food and water. With some common sense education, any responsible adult can enjoy cannabis-infused foods. 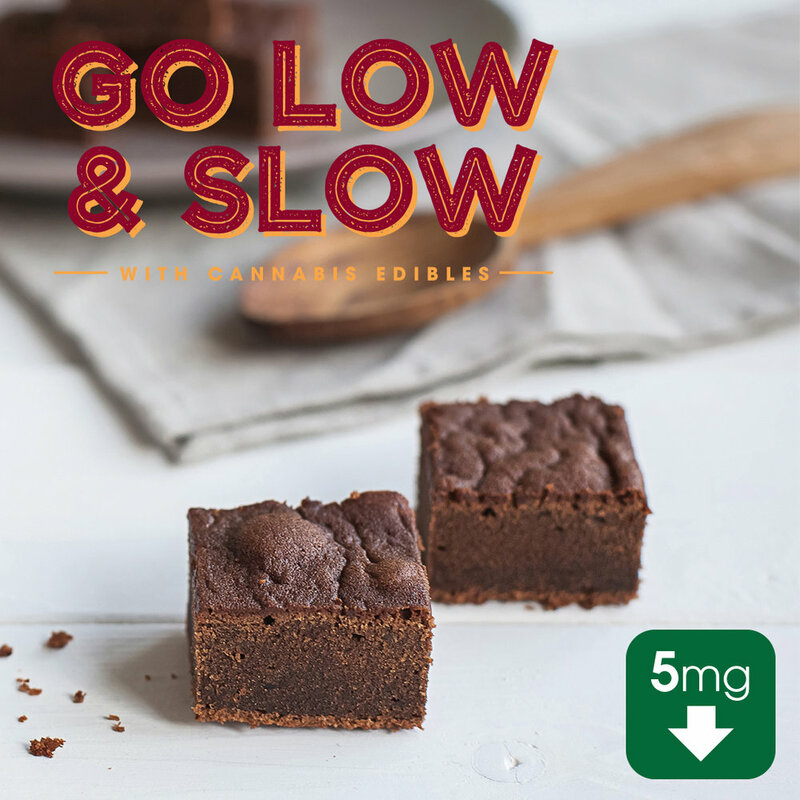 Remember to “Go Low and Slow” and you’ll have an enjoyable edibles experience every time!